The Making Tax Digital (MTD) initiative is designed to be a cost and time saving exercise both for the Exchequer and the small businesses that must comply. 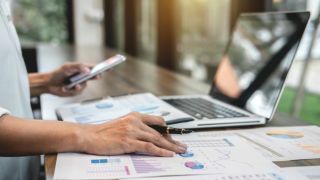 Almost three million businesses will be affected by MTD when it comes into effect in April 2019, and it offers a real opportunity to find a cloud-based accounting system that will help ease financial reporting as well as improve productivity when used properly. It’s for the latter reason that retailers should shop around to find the software that best works for their whole business, rather than purchase a platform purely to enable digital tax submissions. For all the hype around digital transformation, there is now compelling evidence that online business management can help a retailer to become more competitive. For example, the right software can help to analyse consumer trends and inform more intelligent stock decisions. The UK government is doing all it can to encourage businesses to think ‘digital-first’. Tax is a key area of this, not least because the Exchequer has said inaccuracies in submissions cost the economy almost £9 billion per year. It’s hoped automation may solve many of the issues currently experienced. Retailers have to get on board, and VAT-registered businesses with a turnover of more than £85,000 will have to submit quarterly reports with more detail than that included in a VAT Return from 1 April 2019. MTD will render filing receipts in drawers or storing records in a shoe box under the till meaningless, as the government will no longer accept paper records when it comes to tax and VAT submissions. Against this backdrop, MTD-compliant software will allow small and medium-sized retailers to keep a digital record of all transactions and will store sale prices, costs and taxes. Talk to your accountant. Getting professional advice is crucial, as it’s their job to help with any questions and to lay the best options for you on the table. Get in touch with your accountant or bookkeeper for more information on MTD and what it means for your business. Look for a certified accounting system. Make sure that the existing accounting system used, or any new one purchased, will be certified under MTD. If it’s not, start researching other options. If you find one that is able to integrate seamlessly with your ePOS then the business will be able to benefit from other productivity benefits of going digital. Research cloud ePOS systems. Start looking immediately if the business is not currently using one. Take trials to make sure the software is a good fit for the business and if you do already have an ePOS then look into integrating it with your accounting system as soon as possible. Vend allows retailers to run their entire sales operation digitally and it pushes information about transactions, stock orders and cost of goods sold (COGS) on a daily basis to its partner accounting platform, Xero. Xero is MTD compatible software, meaning a retailer will be able to file their VAT returns online, while Vend is the British Independent Retailers Association’s preferred retail ePOS. More importantly Vend and Xero are integrated platforms meaning information is transferred seamlessly so no double entry is required, which saves customers valuable time. Now is the time to go digital. With the MTD deadline in just a few months’ time, retailers should consider how ePOS and accounting systems could integrate and power more productive, more profitable digital-first businesses.